‘Overture to William Tell’ was the second of three Musical Miniatures, a short-lived series similar to ‘Swing Symphonies’, but based on classical music instead of jazz. 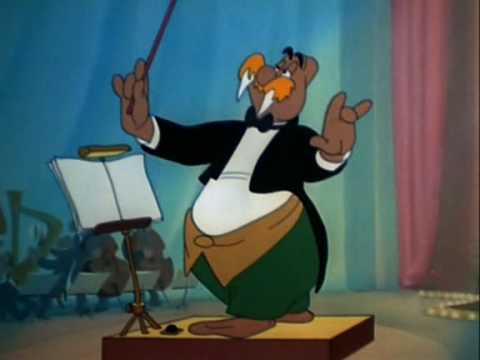 In this one Wally Walrus stars in his very own cartoon as a conductor conducting an extraordinarily sleepy orchestra in a concert hall. The main gag involves a horsefly, which looks like a miniature horse with wings. ‘Overture to William Tell’ is better than the erratic ‘Musical Moments from Chopin‘, the first of the Musical Miniatures. But still it’s only moderately inspired, and pales when compared to that other concert cartoon using the same music by Gioachino Rossini, ‘The Band Concert‘ (1935).